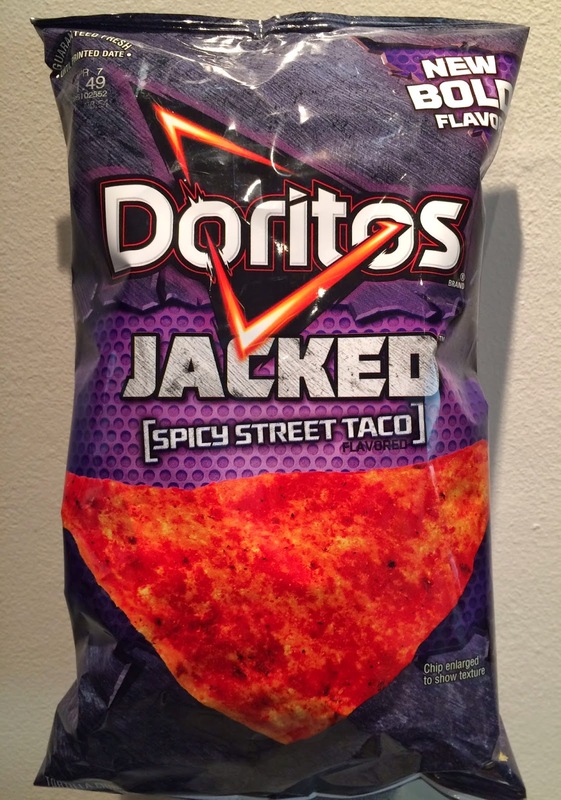 We found this Doritos Jacked Spicy Street Taco at Duane Reade a while ago, could be a month. 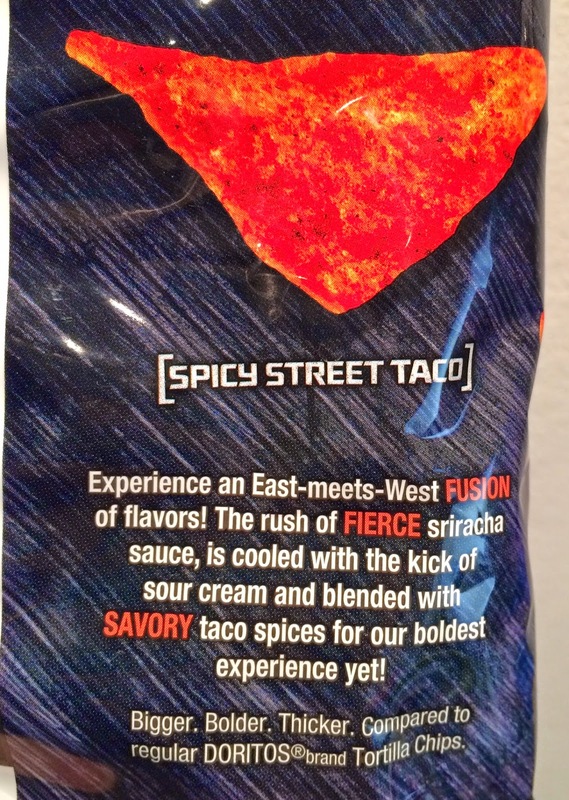 The reason we bought this is because it says "NEW" on the right top, and also we've never had "Spicy Street Taco" flavor before. To me, the flavor name was a kind of funny because they specifically says "Street" and that made me wonder if this flavor causes stomachache (as sometimes one's stomach can't tolerate foods sold on the street). 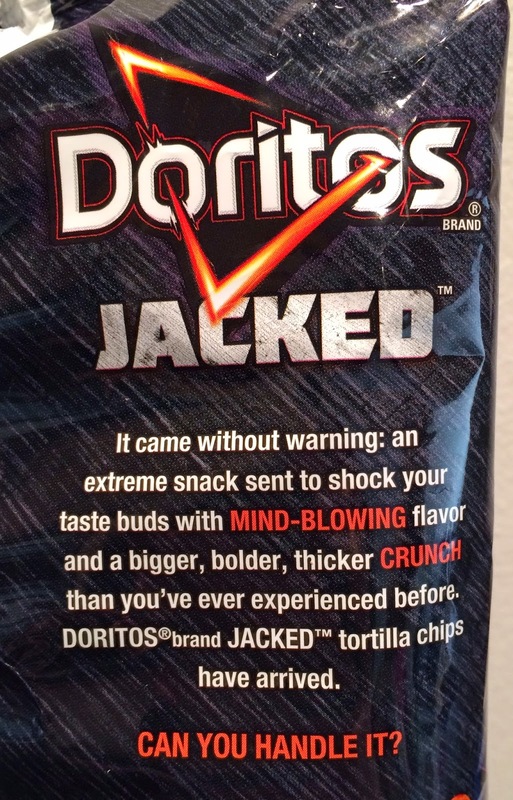 "It came without warning: an extreme snack sent to shock your taste buds with mind-blowing flavor and a bigger, bolder, thicker crunch than you've ever experienced before. Doritos brand Jacked tortilla chips have arrived. Experience an East-meets-West Fusion of Flavors! The rush of fierce sriracha sauce, is cooled with the kick of sour cream and blended with savory taco spices for our boldest experience yet! 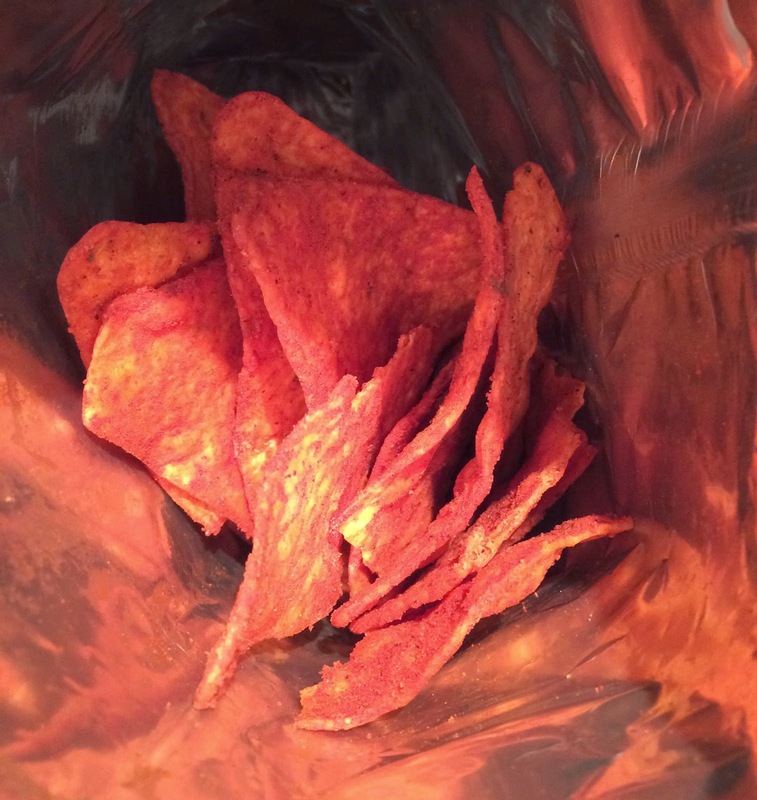 The chips in the bag were vivid red. Each chip was super bright red, powdery and had strong flavor. I didn't edit or touch the color and it's really this red, FYI. 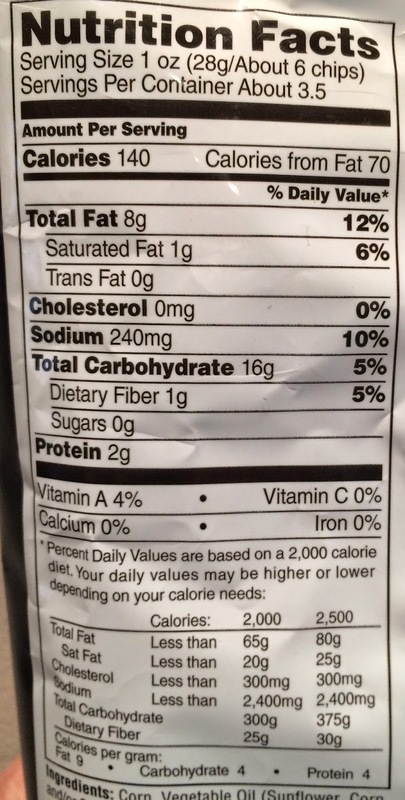 Jack series use larger, thicker and seasoned more intense chips, and this chip was sure the same. To make a long story short, I got bored with this after a couple of chips. I felt some heat, but not sure if it's Sriracha or just a lethal amount of salty seasoning with garlic flavor. Sour cream and taco spices weren't that outstanding, and all I tasted was salty and spicy aftertaste. Everything in this chip including the thickness, size and the flavor was so intense that I thought the balance was off like 3D Jalapeño Pepper Jack. 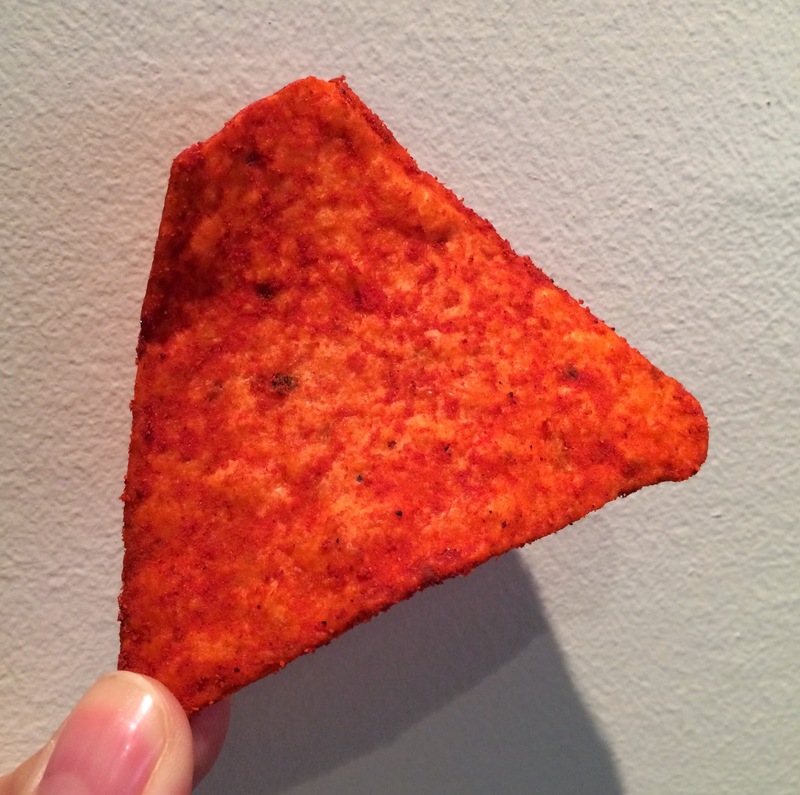 I like regular Doritos better.